On Thursday, February 14, we celebrate Valentines Day. Tragically, this year, it also marks the one-year anniversary of the school shooting at Marjory Stoneman Douglas High School in Parkland, Florida, that killed 17 students and staff members and injured 17 others. 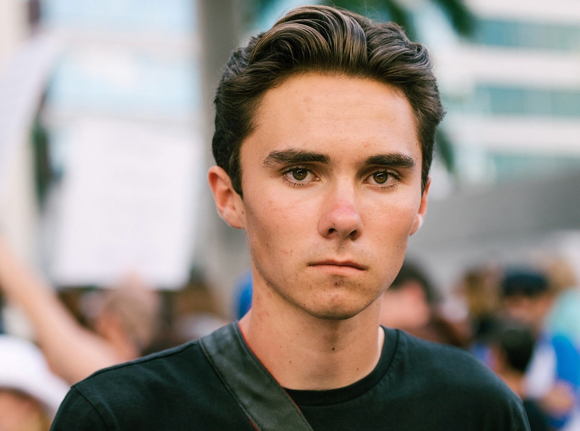 Out of that tragedy rose a group of students turned gun control activists, including David Hogg (pictured). Now 18-years-old, David decided to put off his first year of college and dedicate himself to his advocacy work, traveling across the country. He was kind enough to sit down with me to talk a little bit about what motivates him, his mission, and to provide advice to other young adults and teenagers interested in pursing public interest advocacy. Ray: Why do you keep working on this mission? David: I keep working on this mission for all the people who have had friends and family die from gun violence and for whatever reason did not take on the notoriety to have their voices heard. I keep going to stand by people like Manuel Oliver who lost his son in the shooting, who is out there fighting everyday to make sure no one else is taken from gun violence, no matter the zip code. Ray: How many days a year do you estimate you spend on your advocacy work? David: I spend 366 days a year on this work. Basically 24-7. Ray: Do you have days it feels hopeless and doubts creep in for whatever reason? How do you deal with that and keep going? David: Whenever I have any hopeless fears that creep in they immediately end after I go speak to the next college or high school, because I see all the young people that are inspired to take on this issue and save lives. Ray: How do you choose whom to partner and work with and whom not to work with? David: Basically the way we choose whom to work with is if they are sincere and will work with us in the slightest and don’t benefit off the death of children like the NRA. Every time there is a school shooting donations to the NRA go up in terms of donations from gun manufacturers. Ray: What is the most effective tool you have in reaching an undecided mind? David: The most effective tool I have in talking to an undecided mind is to say I am talking about the fact that the NRA is an organization that stands in the way of gun violence research. They have literally lobbied to stop the Federal Government from studying an issue that kills 40,000 Americans annually. I am pretty sure no matter where you stand on this issue you can agree we need to fund research into gun violence. Ray: If you could give one piece of wisdom to a young person interested in advocacy work, what would it be? David: The one piece of wisdom I would give to a young person interested in advocacy work is to believe in yourself. The biggest challenge in activism is overcoming your own futility in the belief that you can’t change the world. Ray: Thank you David. Will you come visit us in Menlo Park? David: I would love to come speak to students in Menlo Park. Ray Mueller has served on the Menlo Park City Council since 2012; he began his second term as Mayor in December. This is part of a series of conversations he’s having with advocates, residents and business owners.